I have been dying to share this post with you. As you all probably noted, I make my fair share of trips to Memphis every year. 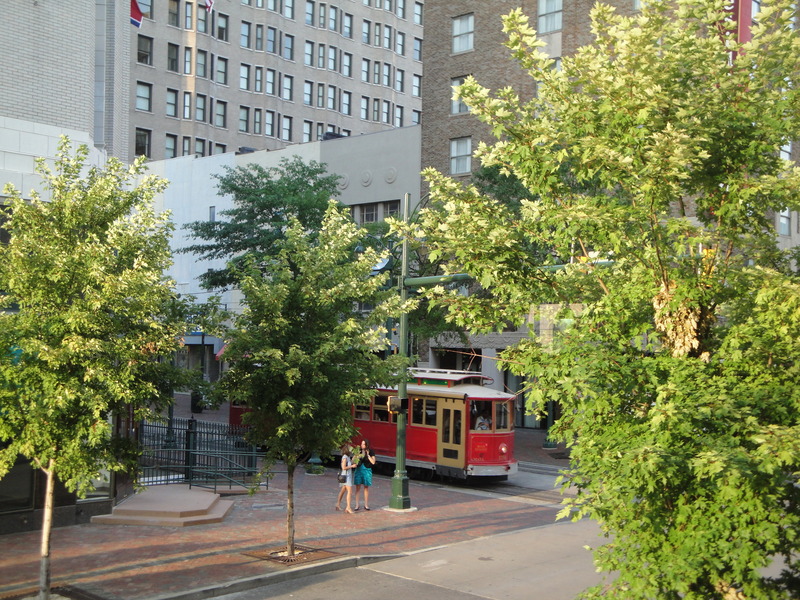 With the Spine & Biologics Division of Medtronic located in Memphis, I have come to enjoy parts of this historic city….mostly, the food! I have several trips to Memphis booked for August…and then again in September, so I will continue to share these local hotspots with you as I frequent them. But first, one of the most amazing restaurants I’ve dined in…FLIGHT. Those of you who know me well know that I have eaten in MANY restaurants. Working for Pfizer and also for Medtronic, traveling across Iowa as well as across the country, has afforded me these opportunities. So trust me when I say, this is one of my all-time favorite restaurants. Clever, intriguing concept paired with great service and exceptional food, presentation & flavor! 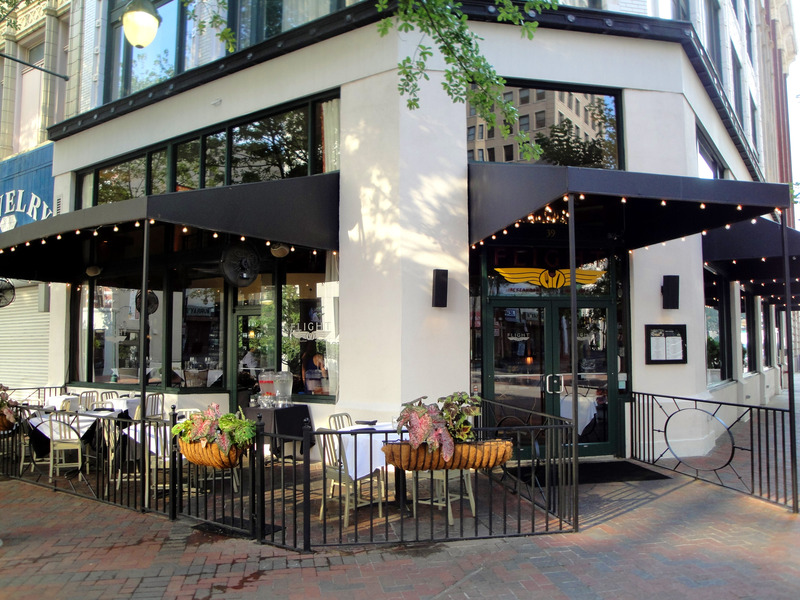 If you at some point make your way to Memphis…just a few blocks from Beale Street is this fantastic joint, Flight Restaurant and Wine Bar. It was just a couple of weeks go that I was in Memphis last. The first week of July I was there with a surgeon and the second week I was there for training. While I was there with a partner and surgeon of mine, we dined at FLIGHT. Despite my best efforts, I could not hide my excitement during our dinner. I was in love with concept, pleased with the atmosphere and in awe of the presentation. I couldn’t wait to come back the following week to really take it all in…on my own time! So…the very next week, I did just that. All alone, I grabbed a cab and headed to Flight. 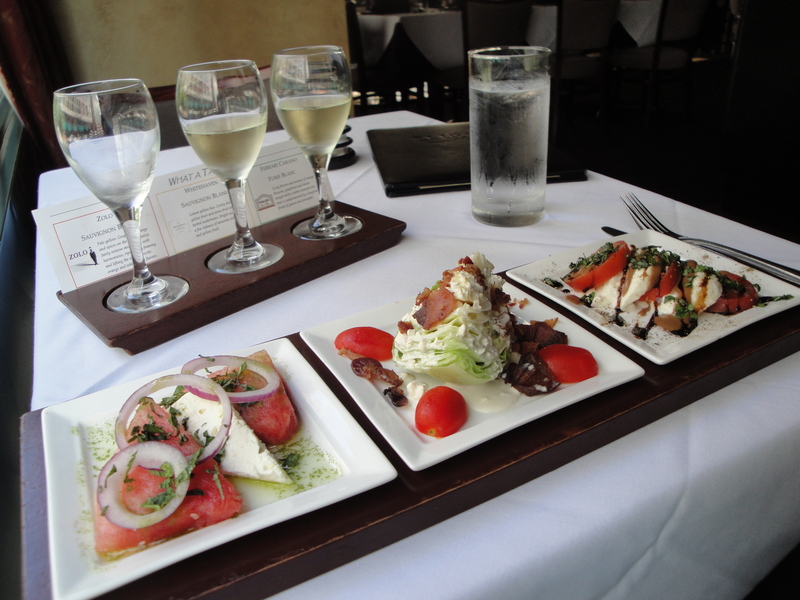 This is what you need to know: Every portion of the menu is built around the “Flight of Wine” idea. So, instead of coming in and ordering a simple glass of Sauvignon Blanc (which I almost always do), you can order a flight of wine. Red, White, Sweet or Dry. You get the idea. 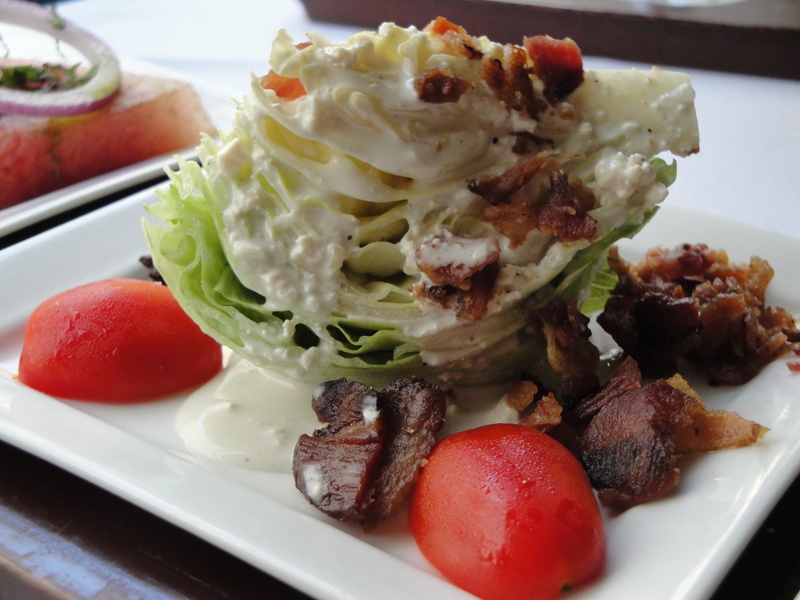 Next up…a soup or salad flight! 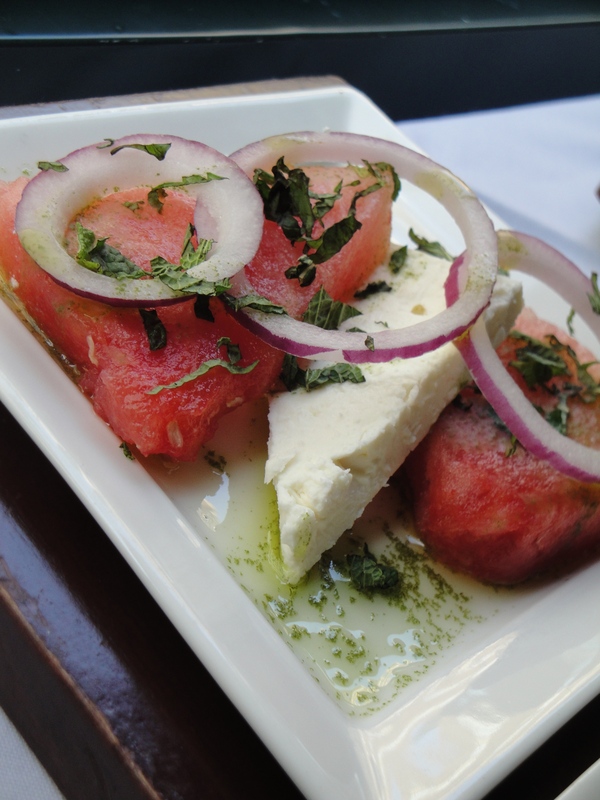 Why order just a wedge salad when you can get sample portions of the wedge, caprese, and watermelon salad?! And for a main course…order a flight of tenderloin or mix and match like I did. Small portions of scallops, filet, and halibut! 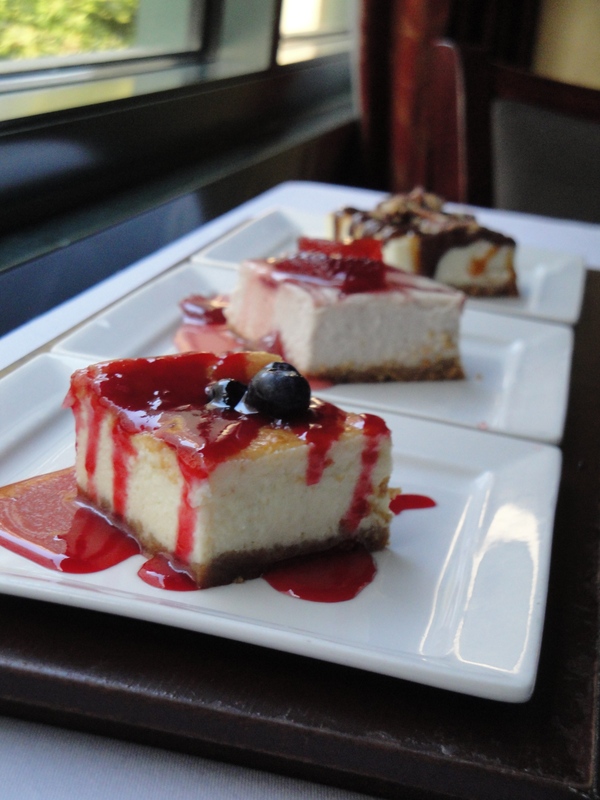 Finally, if all of that isn’t enough to satisfy your appetite, how about a flight of cheesecakes, for example?! I mean, come on. 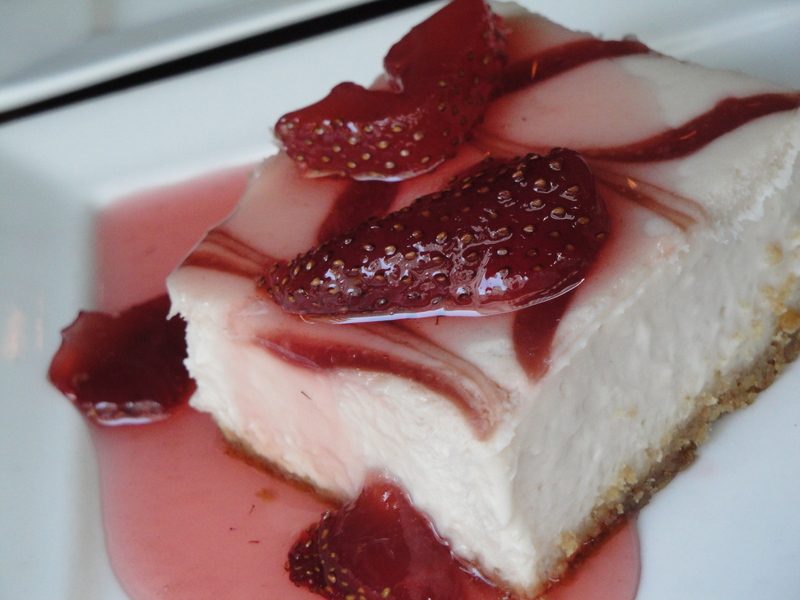 Even if you aren’t hungry, you have GOT to order dessert at a restaurant like this! Let me share my meal with you. I am still dreaming about it. 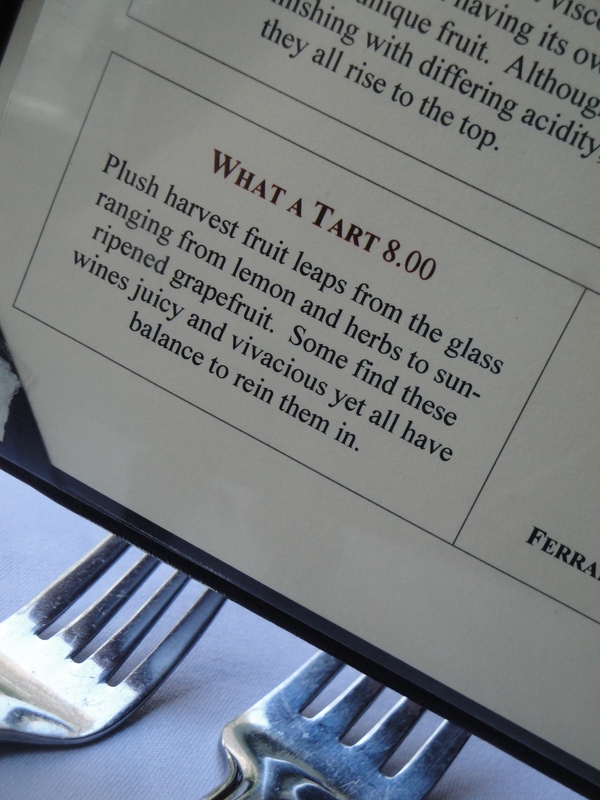 I opted for the “What a Tart” flight. 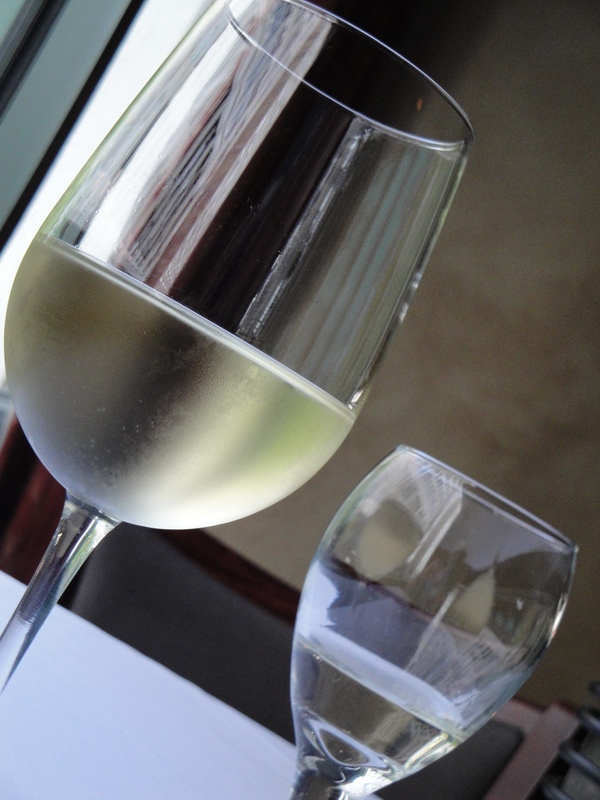 It included an amazing glass of Whitehaven Sauvignon Blanc. So it was the obvious choice for me! 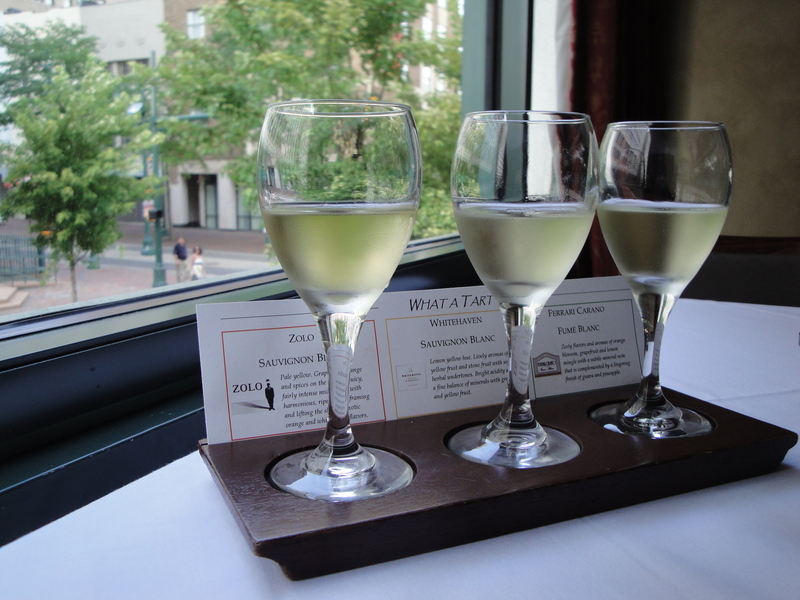 In addition to the Whitehaven Sauvignon Blanc, this flight included Zolo Sauvignon Blanc and a Ferrari Carano Fume Blanc. Heaven in a glass, really. My waitress was so sweet. After listening to me rave about Whitehaven, she decided that I should try Cakebread’s Sauvignon Blanc. She brought me yet another sample to try. Don’t get me wrong, it was good…but it wasn’t Whitehaven! 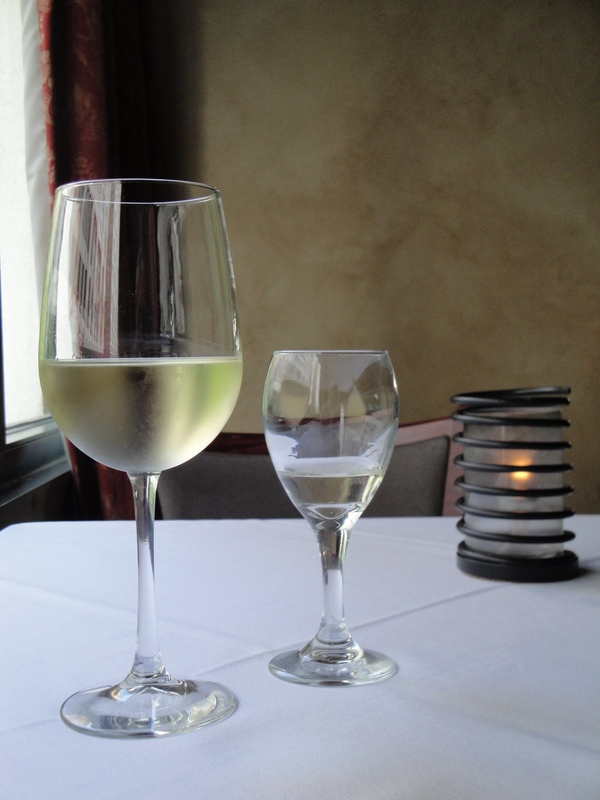 So naturally, I ordered a “full” glass of Whitehaven to enjoy with the rest of my meal! Next up was my flight of salad. 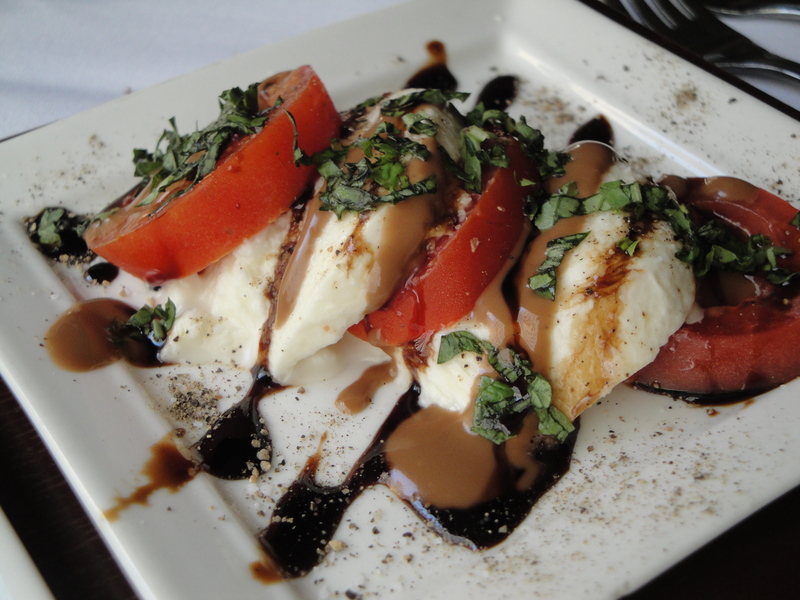 You know me, I could have been perfectly happy with the Caprese…but I just had to try the full flight. I am so happy I did. On any normal day…in any every-day-run-of-the-mill-restaurant, I would have been stuffed and put my fork down right then and there. Delicious and satisfying. But oh-no, not at Flight! I was just getting started! If the salads weren’t everything I’d hoped for (which they most certainly were), the main course was to-die-for. 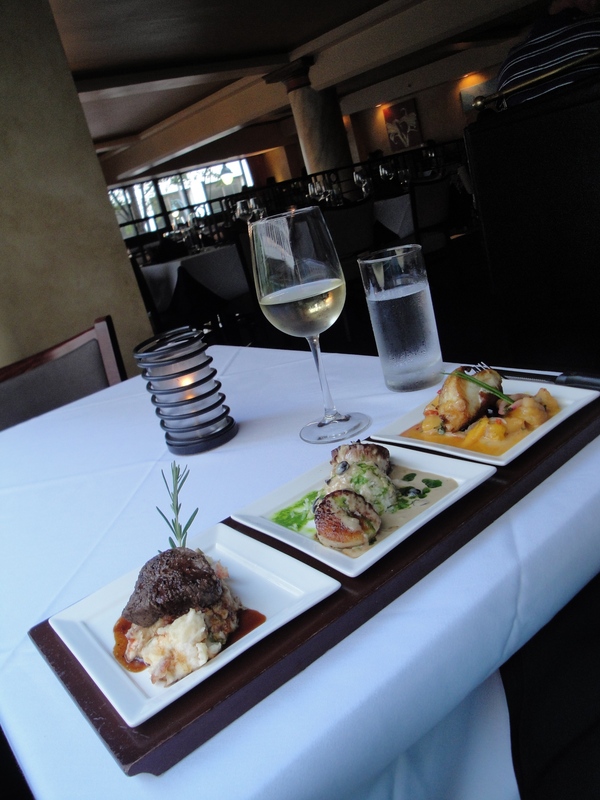 I decided to create my own mix and match flight…Filet Mignon, Scallops, and Halibut! Oh My! I am from Wisconsin…born and raised. It is pretty hard for me to pass up a good steak. It is also hard for me to find a steak outside of “my” midwest (WI, MN, IA) that is as tender and flavorful as it is in any of those 3 states. But this one…oh this one was good! 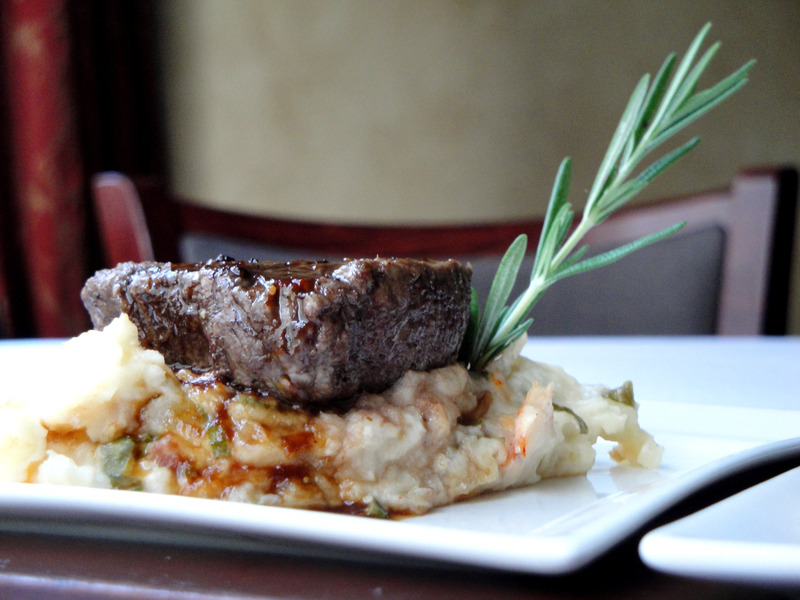 Petite Filet Mignon w/ Lobster, Scallon, & Bacon Infused Mashed Potatoes…drizzled with Bourdelaise Sauce. Need I say more? And one of my latest obsessions, scallops! 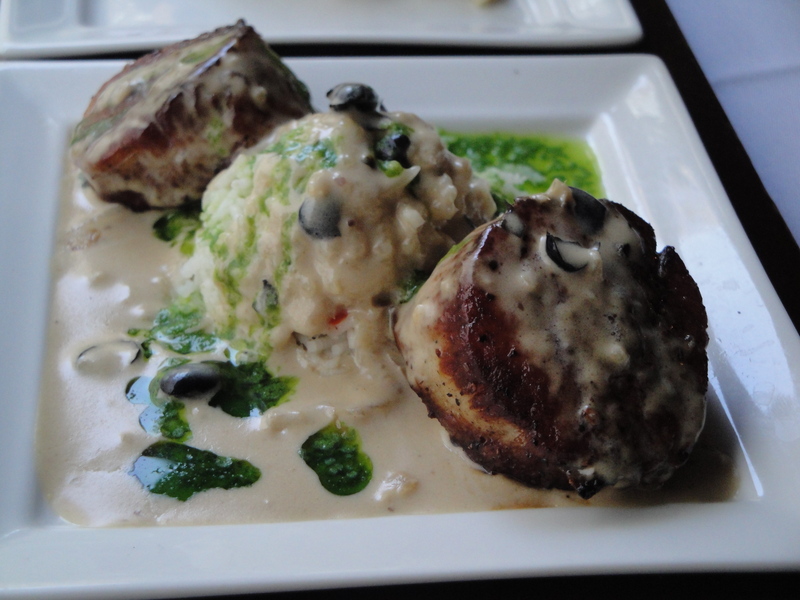 Seared Sea Scallops w/ Black Bean Ginger Beurre Blanc and Bismati Rice. SO GOOD. 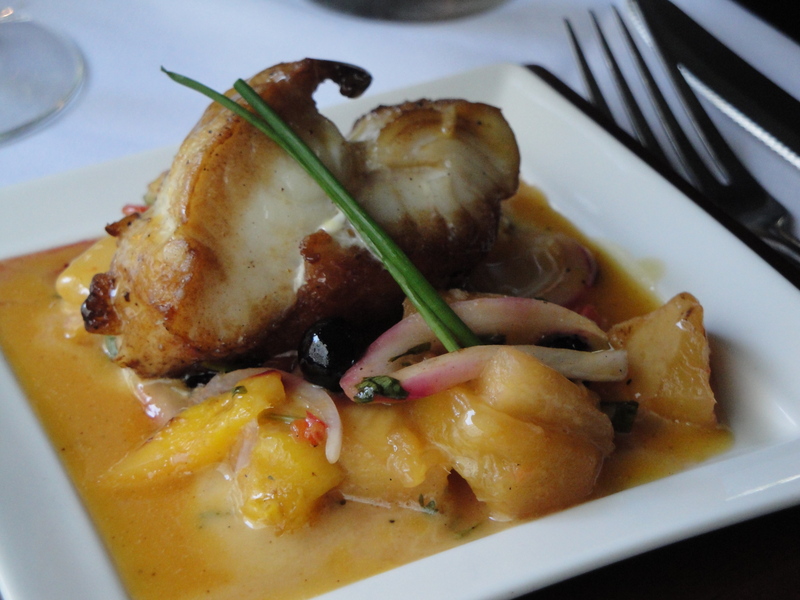 Last on the entree flight…Pan Seared Halibut w/ Tropical Salsa in a Warm Brown Butter Sauce. My mouth is watering…again. 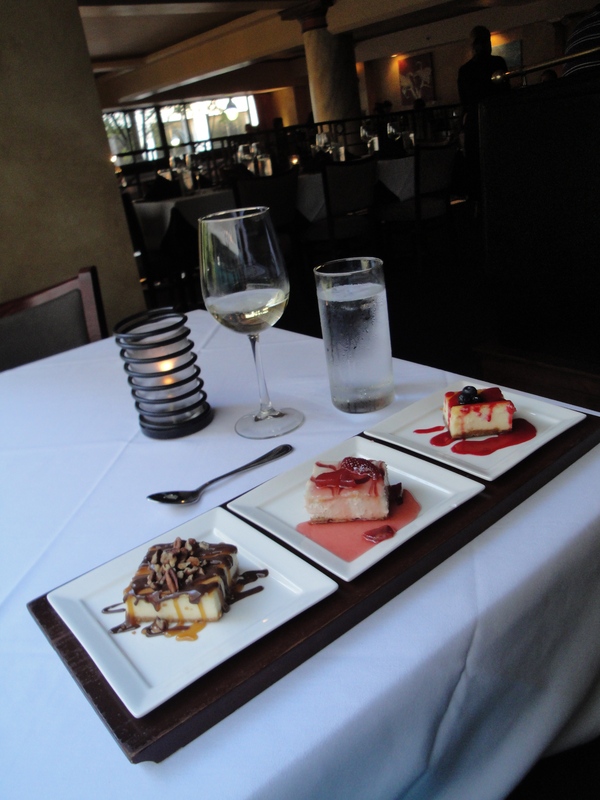 So…I went ahead and ordered the “Cheesecake Flight”! 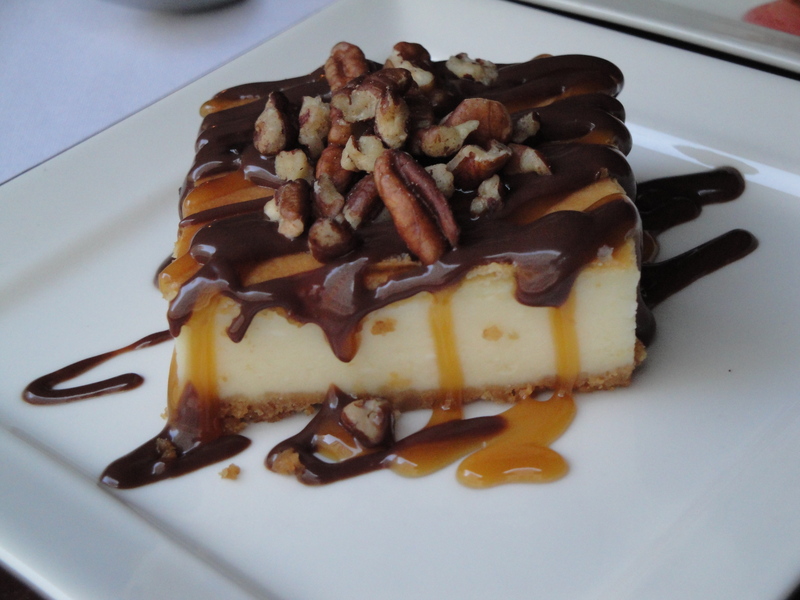 Chocolate, Caramel, & Toasted Pecans. 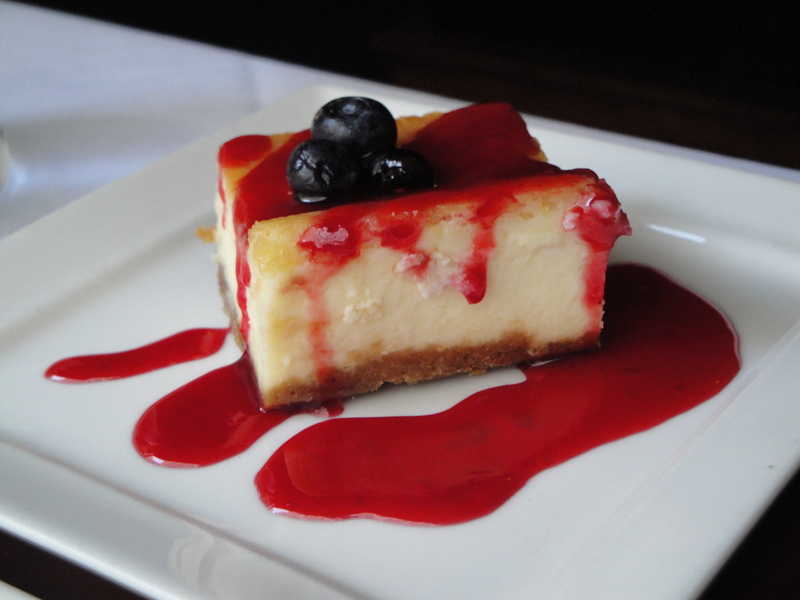 White Chocolate with Raspberry Sauce. What a fun night I had in Memphis. Sure…I was alone at a fantastic restaurant but it was wonderful. Not only did I go do something I normally wouldn’t do (head out to dinner solo) but I treated myself to a wonderful food experience. I went back to the hotel feeling relaxed (well, a little buzzed maybe), satisfied, and adventurous. I encourage you all to do the same. Choose a restaurant you haven’t been to…maybe one you have been dying to try and dine there in the next 7 days. 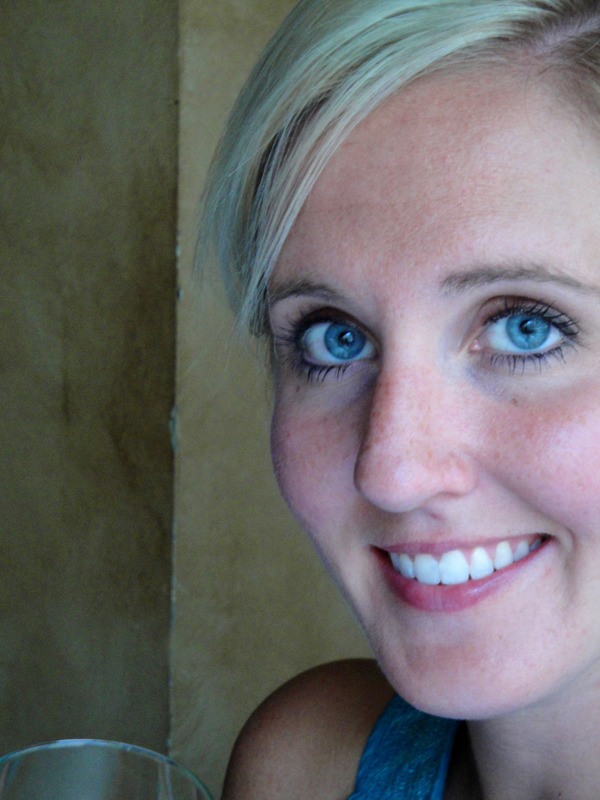 Don’t wait for someone else to fit it into their schedule (we all know coordinating schedules is hard), go alone. Quality time with yourself is therapeutic! And if you are ever in Memphis, please stop into Flight Restaurant and Wine Bar. You won’t be disappointed. Pinky swear. « Older Post Summer Lasagna	» Newer Post Basil Lemon’itos! I want to go there with you! This place looks incredible! Do you think you can find the Whitehaven wine anywhere in MN?